We may live in the era of free productivity apps like Google Docs and Office Online, but I still find value in owning the paid, desktop-bound version of Microsoft's productivity suite—especially with all the extras Microsoft keeps throwing at Office 365 subscribers, like boundless cloud storage. Today, I've got two quick tips for Office 2013 owners and Office 365 customers. One helps you keep your oft-used files and folders at the top of your Office suite apps, and the second one is for those who prefer to use Dropbox or another cloud storage service over OneDrive. Office 2013 makes it easier to access oft-used files and folders. Office 2013 allows you to pin files you need quick access to on the start screens for Word, Excel, PowerPoint, and other office apps like Access. 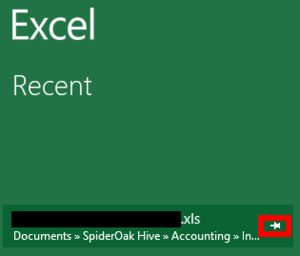 In Excel, for example, hover over the list of recently opened documents that the app displays by default. On the far right of each document name you'll see a pin icon. Click that pin and the file will jump to the top of the Recent list. You can also pin entire folders to Excel by clicking Open Other Workbooks at the bottom of the Recent list. On the next page, click Computer and you should see a list of folders. Hover over one and you'll see a pin, as with the individual files. 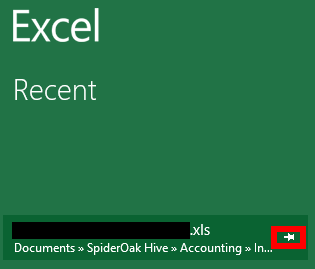 Folders do not appear on the start screen, so to see pinned folders you'll have to click Open Other Workbooks and then Computer, OneDrive, etc. Pinning files and folder inside other Office apps is done the same way. Your Office apps default to automatically save at a specific location on your PC. This is often your Documents folder or your OneDrive folder, as Office 365 is all about connecting your Office documents to the cloud and your various devices. But if your cloud storage service of choice is Dropbox (or any other third-party cloud storage solution that offers Windows File Explorer integration) you can make it the default save location on your PC instead of OneDrive. 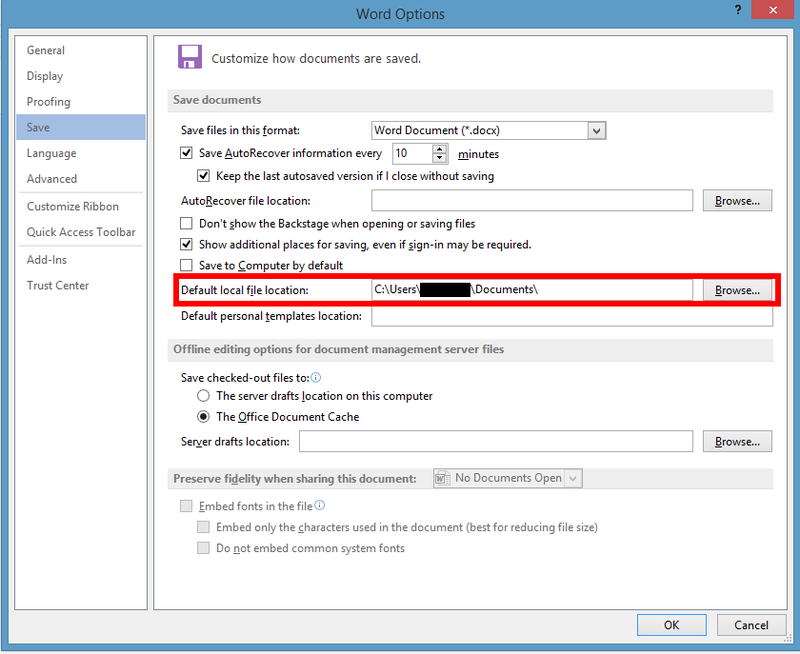 To do this in Word, open the app and click on Open Other Documents at the bottom of the start screen. Just because Microsoft is all about OneDrive doesn't mean you have to be. In the window that opens, click Save in the navigation column on the left. Look for the option towards the bottom of the Save documents section that says Default local file location. Click the Browse... button next to it, navigate to your cloud storage provider's folder on your PC, and click OK. Close the options window by again clicking OK and you're done. Now Word will automatically offer to save your documents to your cloud storage folder by default. Once again, the rest of the Office suite offers similar options.